anxiety, anger or confusion. Given the generally sudden and unexpected nature of suicide, children’s emotions may be more intense, and questions particular to suicide will likely arise. There is the shock and trauma of hearing about a sudden death and the grief that ensues, and there is also the question of “why?” “Why” comes to the forefront almost immediately and tends to remain predominant longer than in other kinds of grief. The “whys” are difficult for adults to understand and even more elusive for children. Therefore, it is important to be concrete in language and to let children ask questions about their concerns. The conversation should balance honest sharing and restraint. and reassurance. If you are talking with a group of children who vary in age, begin with language appropriate to the youngest in the group. 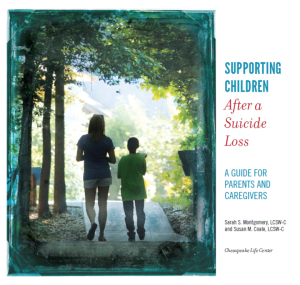 Answers need to be shaped by the particular circumstances of death (for instance, if the deceased struggled for a long time with depression), the relationship with the loved one (was it someone closely involved with the child on a daily basis or someone they saw only periodically), and the particular emotional makeup of the youngster. 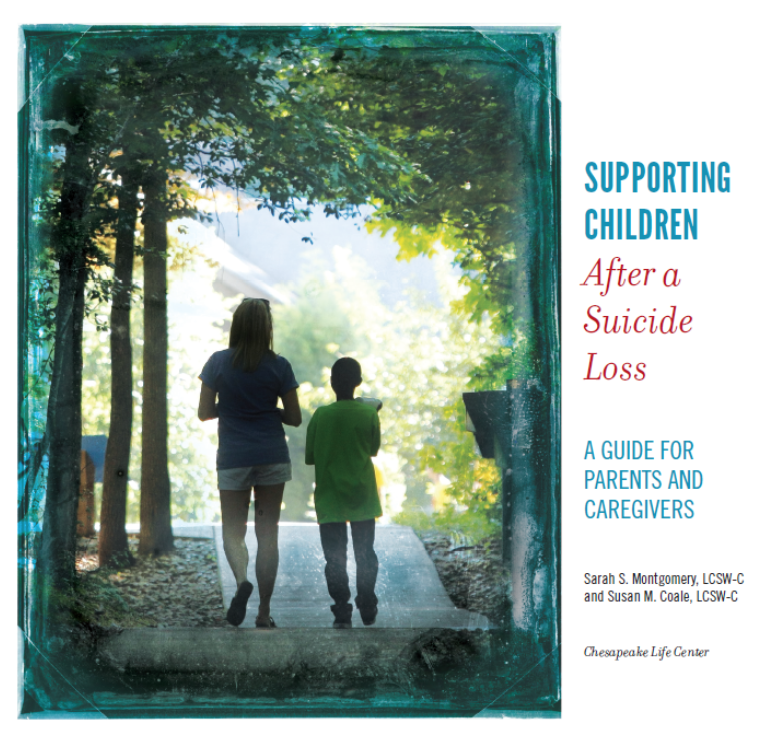 Children need to know that nothing that they did, said, or thought caused the suicide. Most importantly, children need to understand that their feelings are acceptable, that they are safe and loved, and that they are normal. to match the pace of the conversation with the child’s pace. truth, so although well-meaning, creating a non-true story is not helpful. example, “I know I said before that Steve had cancer. This is not true. Telling the truth does not mean sharing all the details at once. to take breaks to gather your thoughts. Sarah Montgomery, LCSW-C is the Coordinator of Children and Family Programs at Chesapeake Life Center, a program service of the Hospice of the Chesapeake. She has over 20 years clinical experience providing individual, family, and group counseling in a variety of settings. She has presented at numerous venues on topics including teenage depression, helping children and families grieve, using art in therapy and supporting children and families after suicide loss. Susan Coale, LCSW-C is the Clinical Specialist in Bereavement for Chesapeake Life Center at Hospice of the Chesapeake. She provides individual and group counseling for grieving adults, children and families. Susan develops and delivers training for professionals and supervises graduate students in the area of grief and traumatic loss and was on the team that developed Camp Nabi for grieving children and Phoenix Rising for grieving teens.